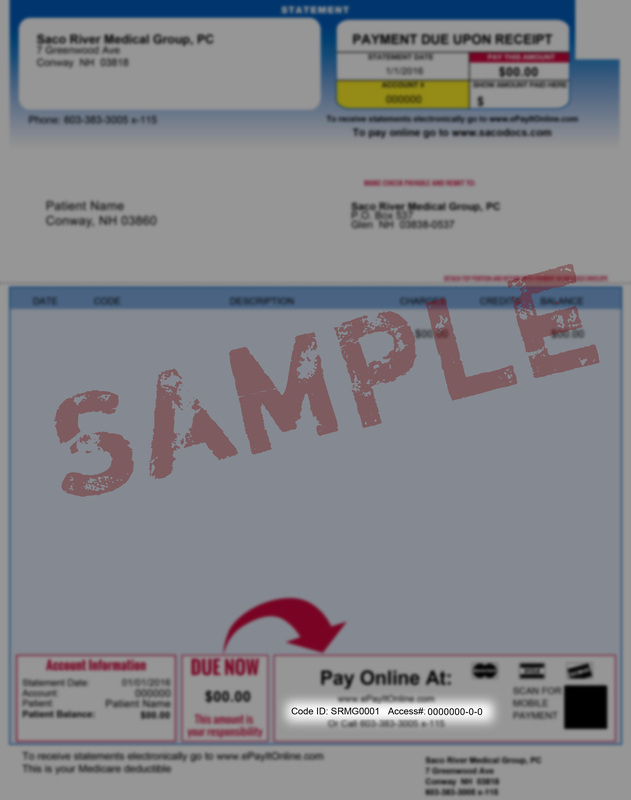 Pay your Saco River Medical Group statement online easily. Your Code ID is found on your statement, at the bottom right. Your Access number is also at the bottom right of your statement. See image at right for details.